Discussing World Politics is a forum that offers a platform for debate beyond the usual conference and lecture format. We host discussions in Helsinki and since recently also in Berlin on matters of international politics where audience and speakers have the chance to interact, meet representatives from academia, media, pol itics, business and civil society and express their thoughts about political issues. DWP aims to start a thought-provoking and critical political conversation by bringing together a variety of people from different disciplines with opposing opinions. We create space for a dynamic interaction between students, professionals, academics and the public at large. Our discussions are accessible and inclusive as well as free of charge.We challenge the lecture format and the hierarchical demarcation between the speakers and the audience. By this we empower the audience to partake in the conversation and engage with the speakers more openly and in depth. Discussing World Politics is our contribution to a politically active civil society and democratic participation through deliberation and debate. There were a lot of people who had spend their energy into making dwp possible. 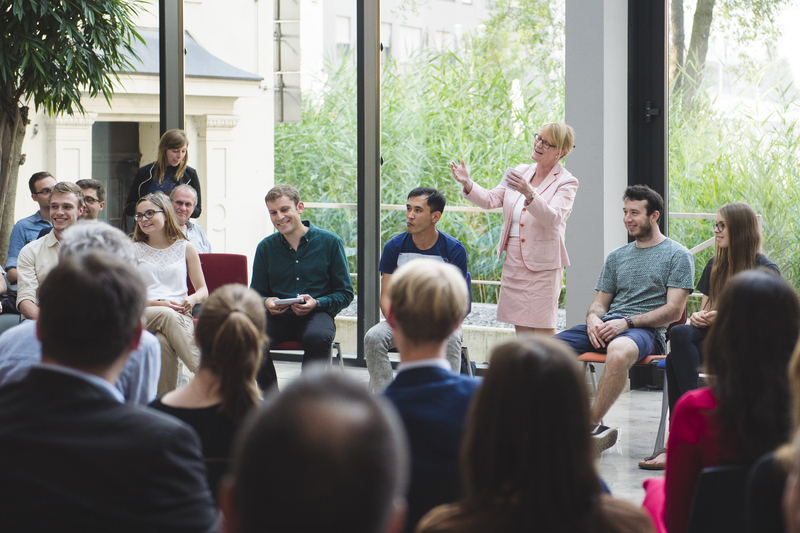 Since its first discussion, attended by five people in a Finnish pub in late 2013, dwp grew to a dynamic platform with changing committed Board members, prominent speakers and sometimes up to 60 participants on a bi-weekly basis. Our concept of a forum resonated and called for continuance beyond the city of Helsinki. Our events have a turn-out ranging between 20-100 people. Our audience is constituted of students and academics as well as professionals and the pubilc. DWP aims to stimulate the political dialogue between people of different social and demographic backgrounds , thus enabling a deliberative form of democracy . Our premise is to promote active political debate – especially on controversial political issues – and to facilitate access to opinion leaders and decision makers in a direct way. Have a look at our past events on Facebook.